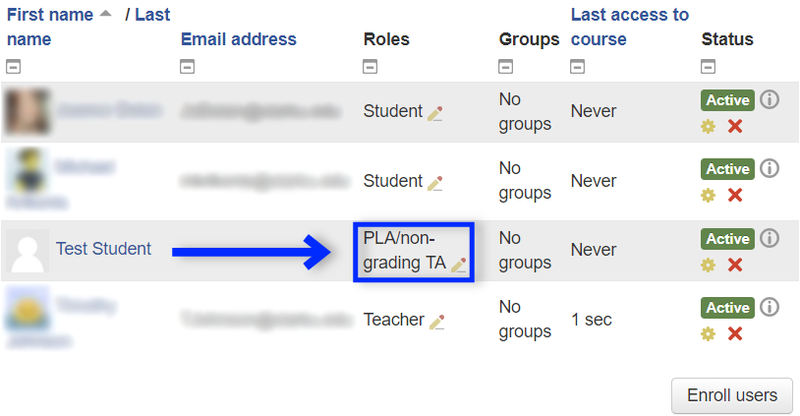 If you want to add a TA, PLA or Guest to your course, there are a few simple steps to follow. Explanations about the privileges of these roles and who they are generally assigned to are available at this link. Click here if you'd like to view these instructions as a short video. 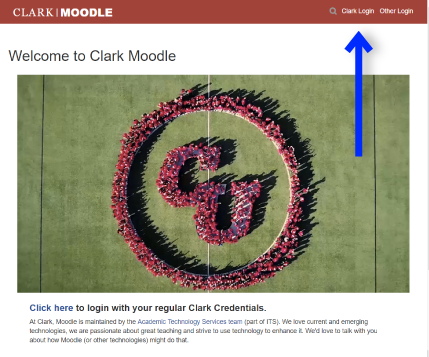 Login to Moodle and browse to the course you want to enroll a user. 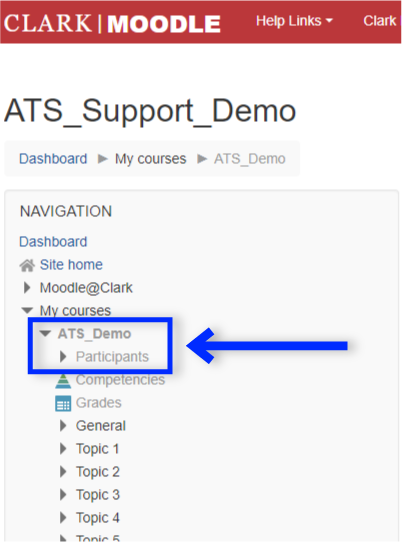 On the left side, in the Navigation block, click Participants underneath the name of your course. On the right side of the page that opens, click the Enroll Users button. Type the name or part of the name for the person you wish to add, and select the correct user from the list. Users that match that name will show in the middle area of the window. In the Assign Role dialogue window, select the role you wish to assign. PLEASE NOTE: The Guest role may only passively observe the course, and may not participate in course activities. Please be certain this is the appropriate choice before adding users with this role. Click the Enroll Users button to save your changes. 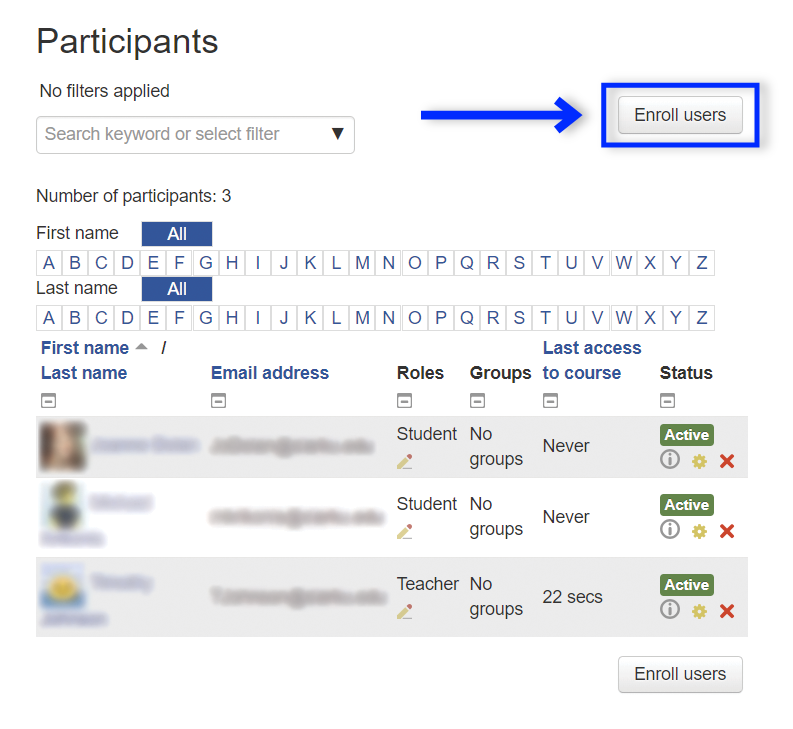 From the Participants page, click the on the participant's role in the Roles column. Choose the new correct role from the dropdown menu. Click on the white X next to the old role you would like to remove. Click on the disk icon to save your changes, or click the gray X to cancel them. If you have any questions or problems, please don't hesitate to contact Academic Technology Services.